“Mr. 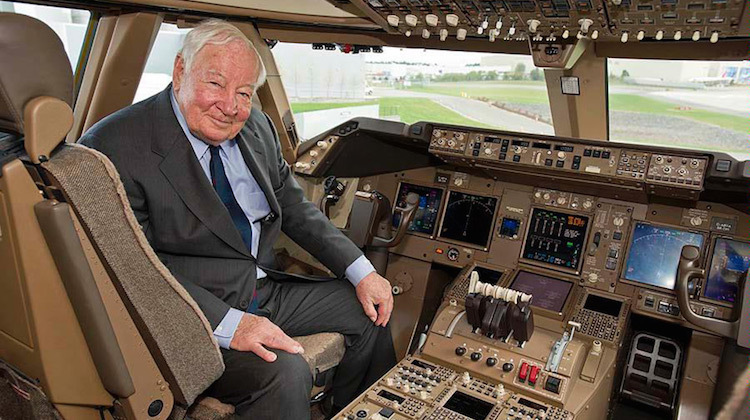 747” – Joe Sutter Takes His Last Flight West at 95! “Mr. 747” of Boeing Aircraft Dead at 95. 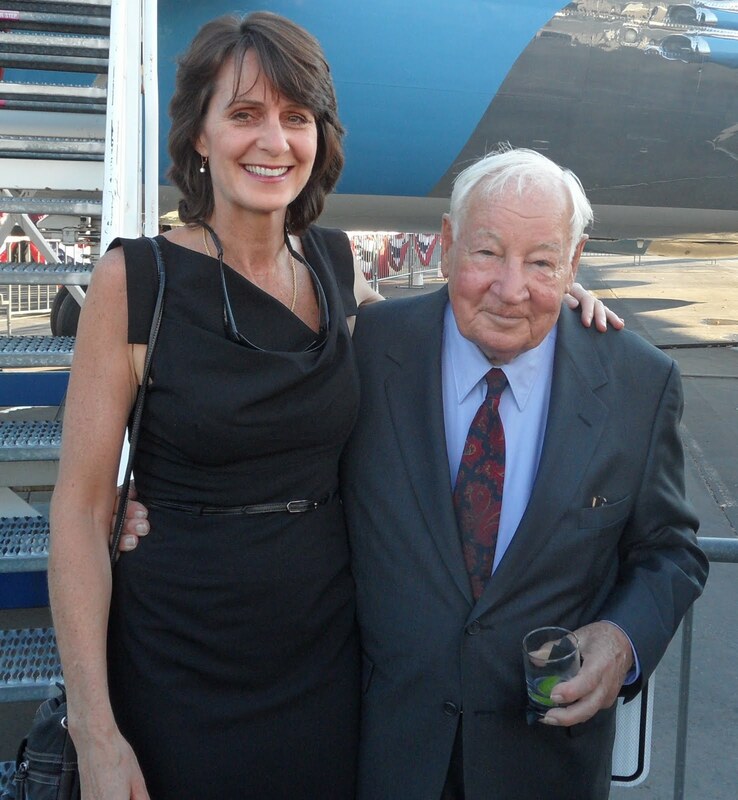 Joe Sutter, the father of the first operational Jumbo Jet, the man who led development of Boeing’s 747 jumbo jet, has passed away yesterday, August 30, 2016, at the age of 95. 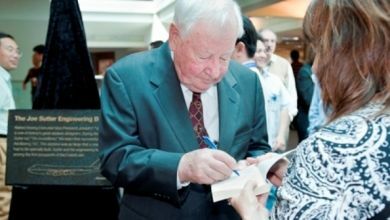 Boeing’s commercial aircraft boss Ray Conner said Joe was “an inspiration” not just to Boeing but “to the entire aerospace industry”. 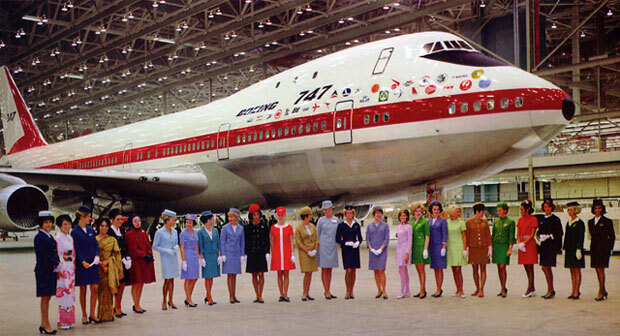 The 747, which ushered in the long-haul travel era, first flew in 1969 before making its commercial debut in 1970. To see today’s Boeing manufacturing process, far more automated than it was 47 years ago, please visit this FASF story from last July in which you’ll see the dramatic birth of the beautiful new Boeing 787 Dreamliner. Just click here. And be sure to turn up your sound! 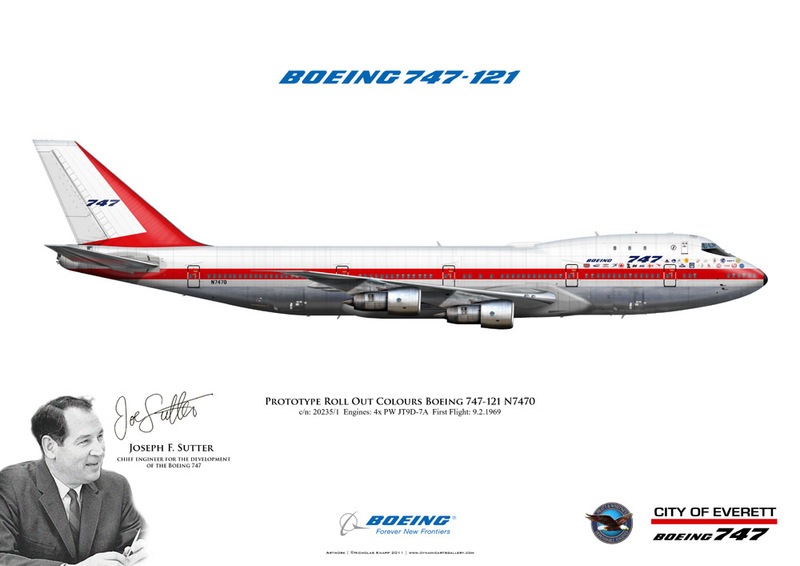 Roll out of Boeing’s first Jumbo Jet, the 747-121, in 1970, is presented in this poster, along with its creator, Joe Sutter. It only lost its status as the biggest passenger aircraft in 2007 with the launch of the Airbus A380. 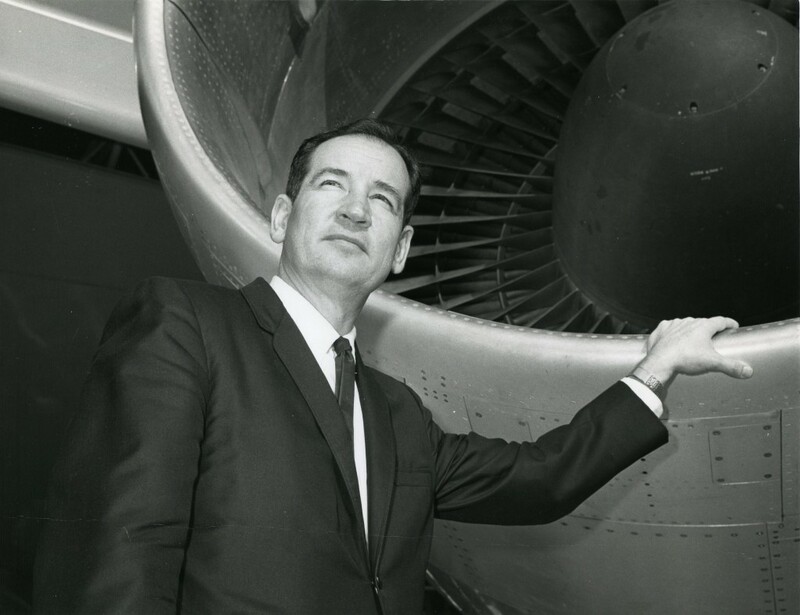 Sutter was in charge of the Boeing engineering team that developed the 747 in the mid-1960s. The growing worldwide demand for air travel during the 1960s led to the development of this new giant of the skies, the 747, the world’s first “Jumbo Jet.” Merely recalling the early days of the 747 program “brings sweat to the palms of my hands,” Boeing’s then-president, William Allen, said years after the giant aircraft had been developed. Requiring the company to risk much of its net worth, the development of the world’s largest passenger aircraft was a formidable undertaking. It is taller than a six-story building, had seating for 374 passengers (up to 550 in some configurations), a takeoff weight of more than 300 tons (or ten fully-loaded 18 wheel trucks), and enough fuel in its tanks to power a small automobile around the globe 36 times. The 747 is one the most recognizable aircraft in the world and represents a milestone in the evolution of aviation design. 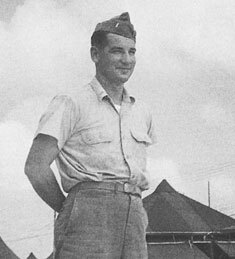 Sutter and his team became known as “the Incredibles” for producing the world’s largest jet transport in just 29 months. When one considers the staggering degree of internal complexity in the Jumbo’s design, and that it was a pioneering first, the feat is all that much more remarkable. Even more astounding is how the plane so quickly proved to be incredibly reliable and profitable for its purchasers. 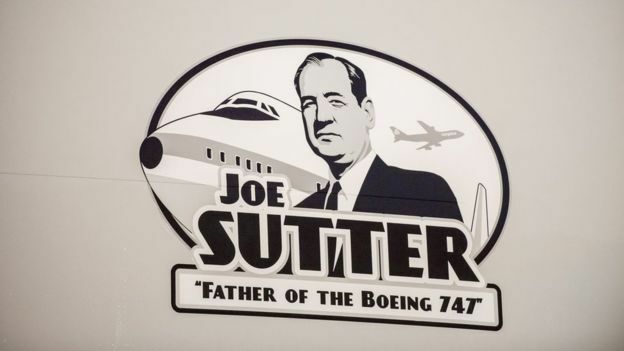 In 2011, on his 90th birthday, Boeing’s building number 40-87, in Everett, WA, the main engineering building for Boeing Commercial Airplanes Division, was renamed the Joe Sutter building. 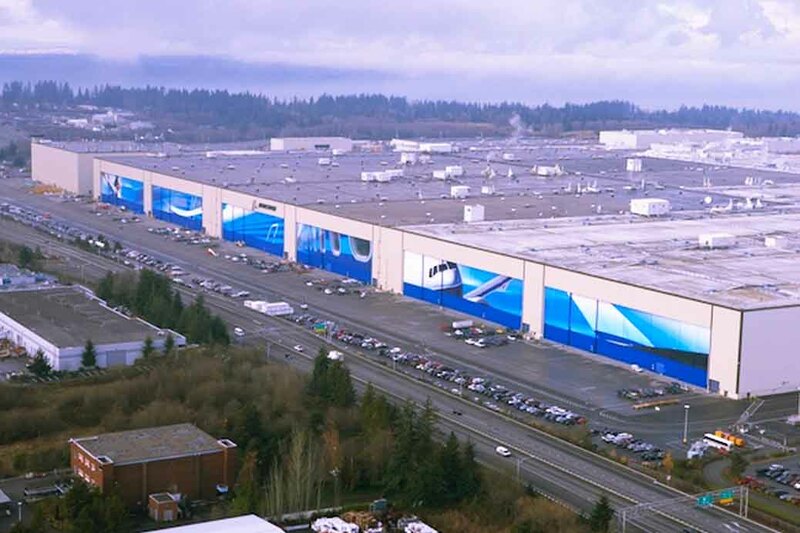 At the time of this photo of the Boeing Factory, home to 30,000 workers, was known as the world’s largest building. With supersonic aircraft on the drawing board in Europe and the U.S., the 747 was initially expected to be used more as a freighter than as a passenger airliner. But history would write quite a different story. The First Aero Squadron had many of its own firsts, as you know, but one of them for which it is not often enough given full credit, is for the way it successfully helped re-launch American Civil Aviation, after a dozen years of national apathy and decline, which, in turn led to America’s Airline Industry taking front and center stage in the world of commercial aviation – a position it has never relinquished to this day. 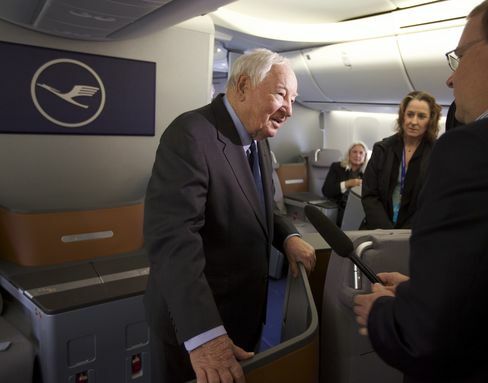 Sutter was interviewed on his new 747 Jumbo Jet for its customer, Germany’s Lufthansa. Two Pioneers: (Photo at Left) Dunbar is one of the world’s most experienced female astronauts, with 50 days in space covering 20.4 million miles on five shuttle flights. 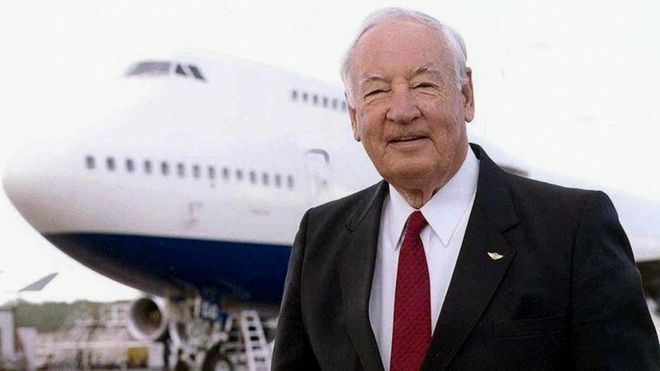 Sutter, known as “the father of the Boeing 747,” invented the concept of the “wide body” aircraft and served on the presidential commission that investigated the Challenger explosion. 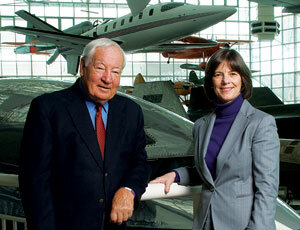 They were photographed at Seattle, Washington’s Museum of Flight, where Dunbar is now the President and CEO. Photo by Kathy Sauber. 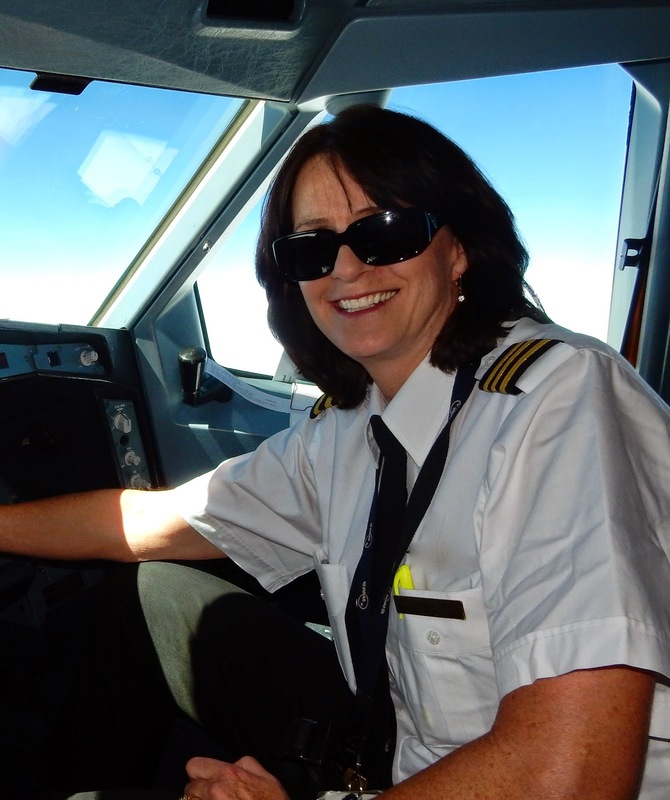 She is now flying the Airbus A330 for a major airline. Karlene at controls – She interviewed Joe Sutter at 90 in 2011 – His remarkable quote is up above in orange type. 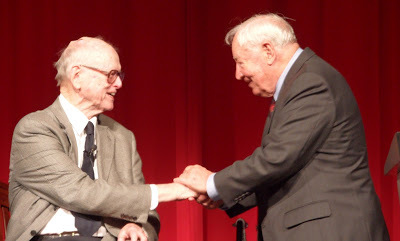 Story credit to FASF News Scout and Technical Consultant, Eric Lambart, Portland, OR, Karlene Petitt, the BBC, the Seattle Times, the University of Washington, Boeing Aircraft, AP, Aviation Week, The Museum of Flight, and numerous other news media. This entry was posted in AVIATION NEWS on August 31, 2016 by FASFRIC. I had the the opportunity to fly co-pilot on this new machine in 1970 for a year & when the plane was larger that the air terminals we served in LAX, HNL & Hilo! Taxi to the gates & we were 48′ above ground-level in the cockpit, with great views of terminal roof-tops….also, both pilots had a “tiller control” & either could taxi the aircraft from their seat. The center-gear would caster & by extending the nose far over the grass areas, a fairly sharp turn could be made with the main-trucks remaining on the taxiway….it took some getting ‘use-too’!